Whenever you are looking for a job, your concern is how to make a resume that will be a standout to make a good impression to the employer. The first opportunity to make a lasting impression to an employer is writing a good resume that will attract their attention. Not everyone can make a good and impressive resume and trying to do so can be very intimidating. Employers usually receive bulks of applications and they tend to just short list the resume that they receive. In order that the employer will not overlook you as one of the best contender applicants for a job, it is crucial that your resume should be appealing to them otherwise your resume will end up on the piles of applications that the employer will reject. Here are some ways on how to write or make a resume that will enable you to make a good impression to your employer. Knowing the basic steps in preparing a resume will help you get started until you finally feel comfortable of polishing off your application. Keeping notes is one way to keep you organized on what to write on your resume. Before you start writing, recall the significant accomplishments that you were able to achieve. The first step is to plan for the layout of writing the contents of your resume. You want your resume to appear clean with a simple layout. Using a simple font is your best option and apply it consistently all over the resume. It is safe to use the standard font of Times New Roman or Arial which is widely used for writing a resume. The standard font size is 12-point which is neither too small nor too big. 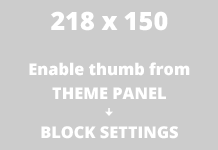 You have to keep in mind to make your layout as simple as possible. Employers do not like a resume that comes with a poor presentation but they do not want to read a resume that is too superfluous either. Keep in mind to highlight those that are very relevant to the job you are applying as this is important. Employers usually search for applicants who have related experience to their job opening. You should write the related experiences you have on top of the list of your accomplishments while making a resume. It is best to recall everything and jot them down on a piece of paper then rank them according to the relevance of your experience to the job you are applying. Make sure you include relevant keyword in your resume. For example if you are creating a resume for the post of Software Engineer, do include keyword like programming skills, database knowledge, project architecture,domain knowledge. Provide precise and concise information. Do not provide redundant information. Keep it short and simple. Don’t make it too lengthy for an employer to read. Do not forget to provide detailed information regarding the entries you are claiming on your resume. Employers understand that applicants usually try to make a good impression by writing down simulated experiences. It is important that you can convince the employer that you are providing verifiable information on your resume. Make sure to write referrals with the proper address and contact numbers of the persons who can vouch for your experience. Do try to impress the employer but not at the cost of providing fake information. You can be barred from applying to other companies if you get blacklisted by not providing real information. You need to include in your resume a summary of your job description, the name of the company where you have worked for, including the date of working there. If you have some certifications you should include them to provide more proof of your experience and qualifications. Include any training you may have undergone that would be relevant to the job position you are applying as this will give you an edge against your competitors. Do not forget to include information about your educational qualification as well that should include the year you have graduated and the name of the school where you have attained your degree. Ensure you don’t have any grammatical mistakes in your resume. That will certainly won’t do any good to you. Get your resume reviewed by someone you think has strong hand in grammar. Even slight mistakes can create a bad impression of you. References are not meant to be included in the resume. Provide them when you are asked for it. Do read the job description before sending out your CV. Some companies still ask for the references to be included in the resume. If this happens, include 2-3 references who know you personally. Most of them ask for the references once you reach the final round. Once you have organized the content to write in your resume and placing them accordingly to your chosen layout, it is time to proofread your work. You can do it yourself or ask someone to read it. It is also helpful to read your resume aloud. You need to check for the proper grammar and the spelling. This will help you polish your resume before you are ready to submit them and start making a good impression. Make a handy cover letter for your resume before sending it out. A cover letter should be small and mention your recent academic qualifications that make your bright candidate for this job. 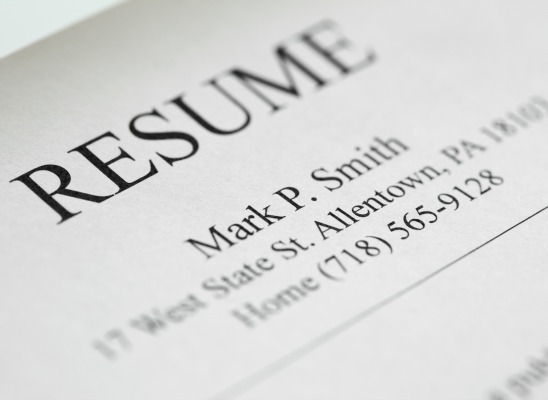 Always try to make your resume simple and easy to read for the employer. Focus on contents not on length. Your skill set will get you the job not the length of resume. Your resume is the first step to get the job. A 2-3 page resume is pretty acceptable these days. Always provide your contact information at the top so that it is easy for the employer to search for the contact information. If your have any tip do provide it in the comments section below.